Forget the guts and glory - war is hell. The film tells the story of two men who were best friends before they served in World War I. 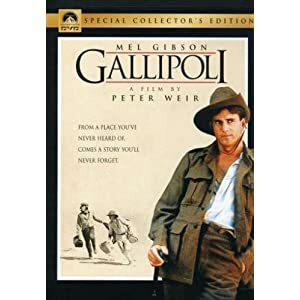 They enlist in the Army together and are sent to Gallipoli to try and fend off the hostile Turkish army. During a great battle the outnumbered Australians fight bravely to the very end. This is not a feel good movie. One of Gibson's earliest films, it's well done and worth watching. It shows how dark and scary being a soldier in a brutal war can be.